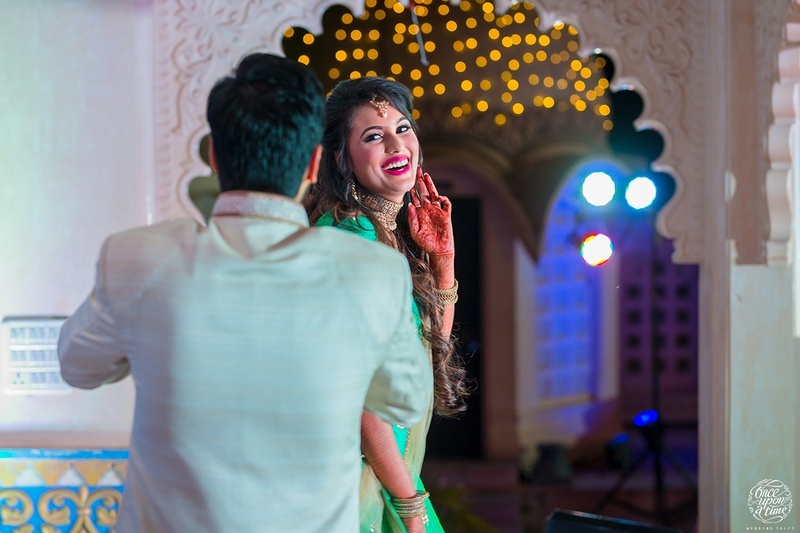 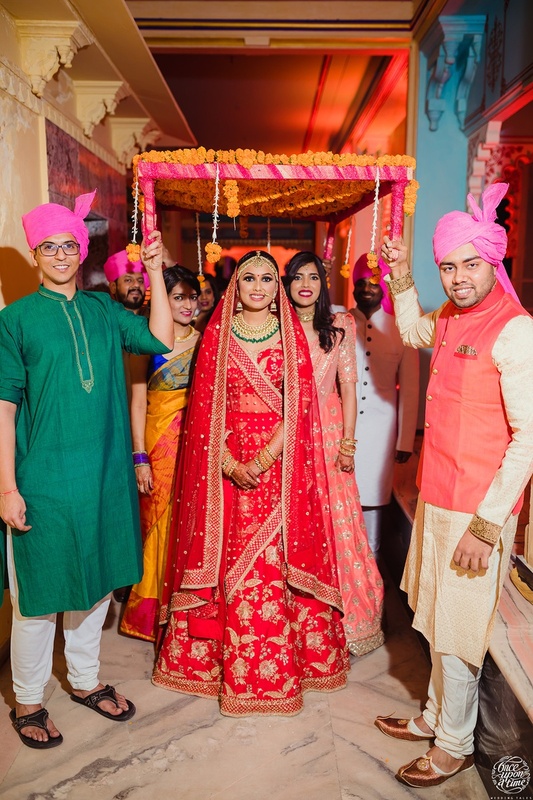 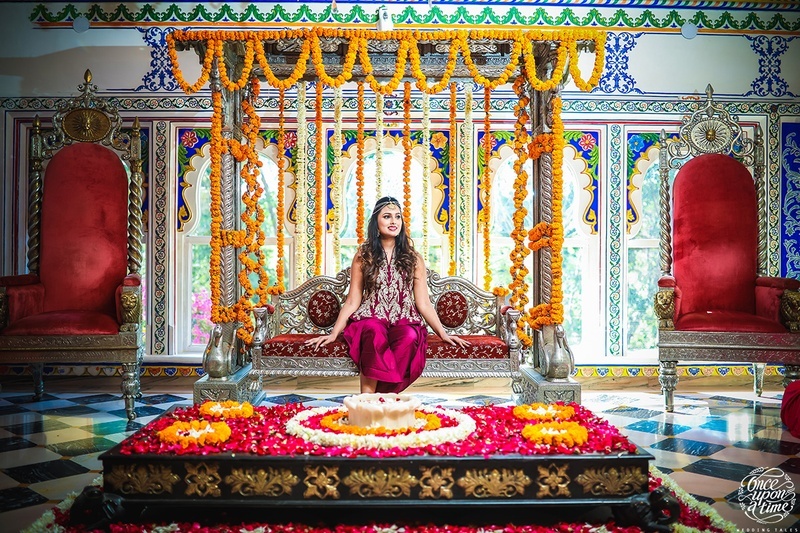 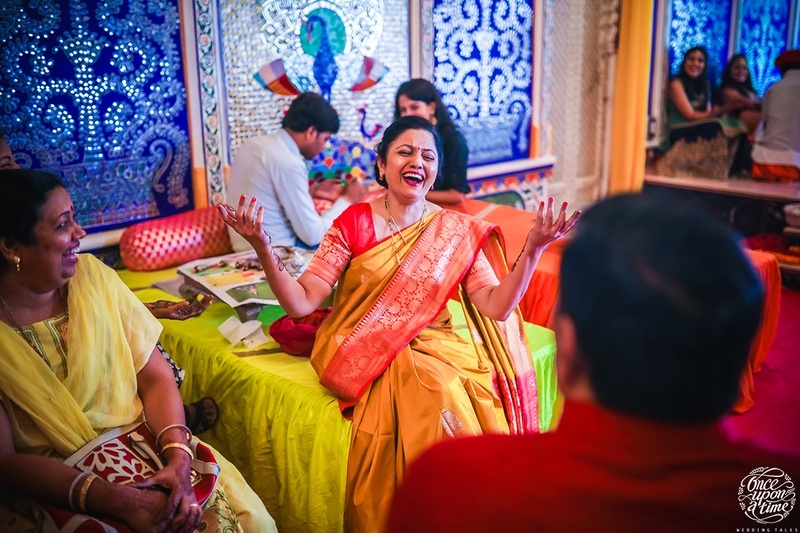 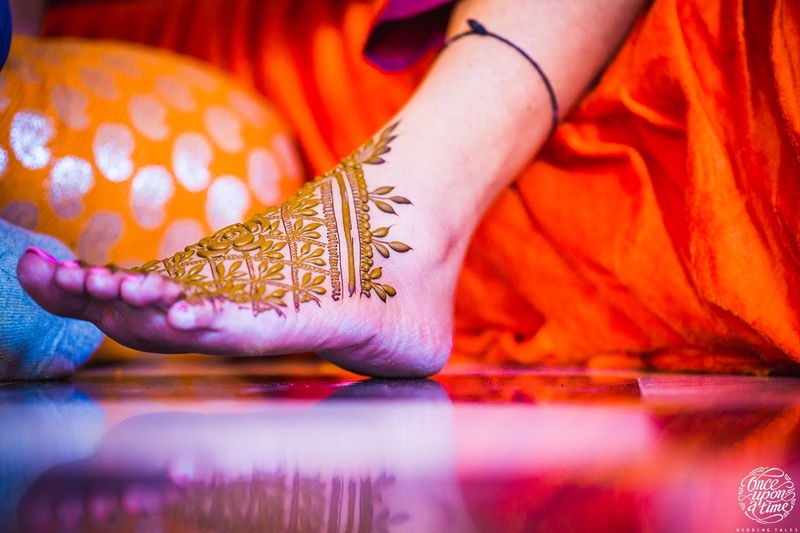 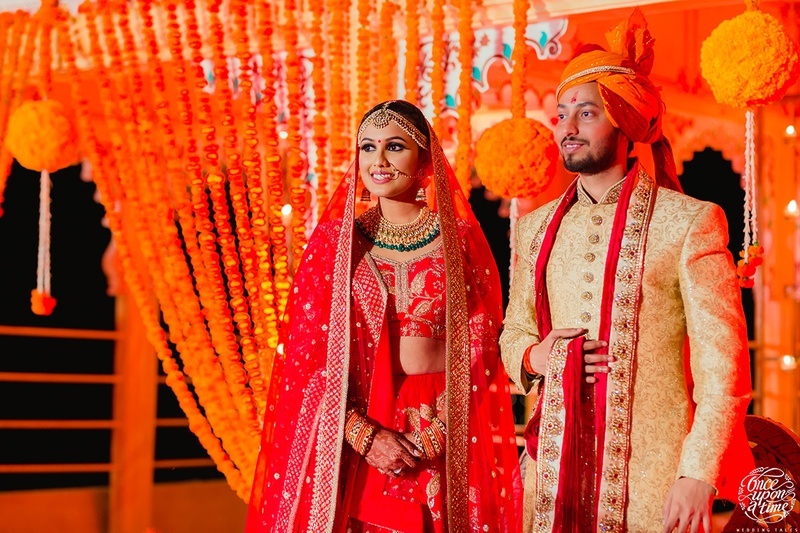 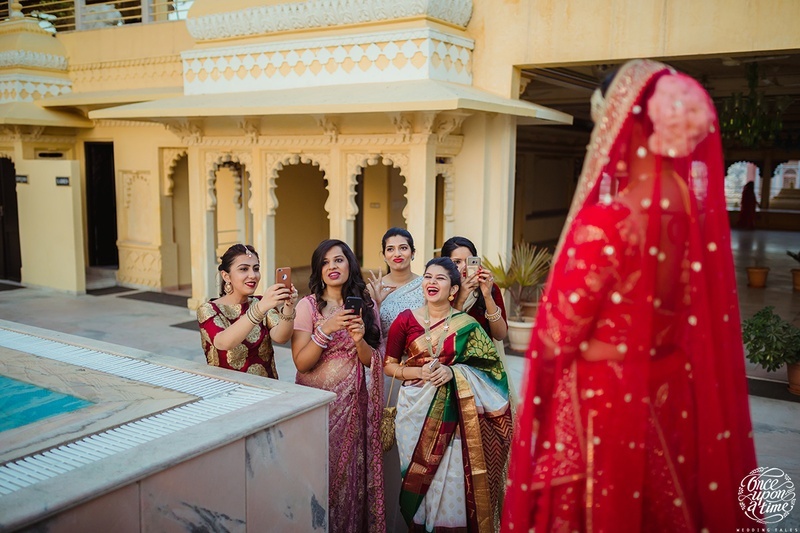 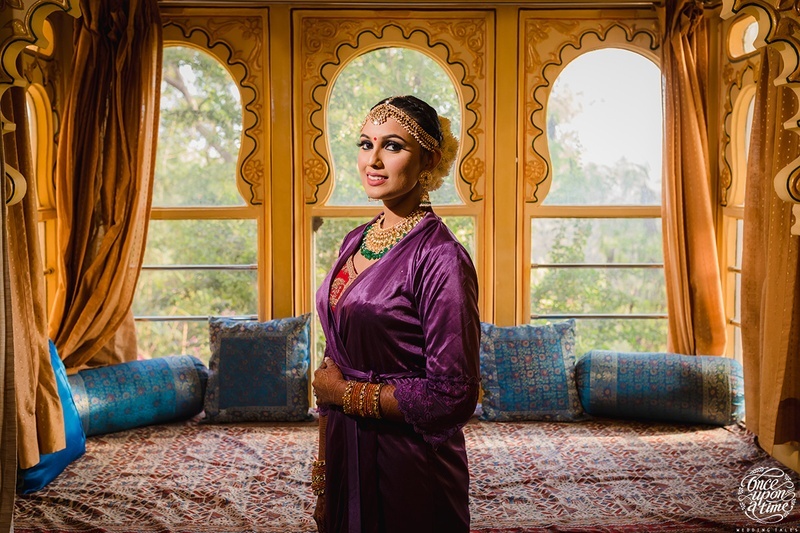 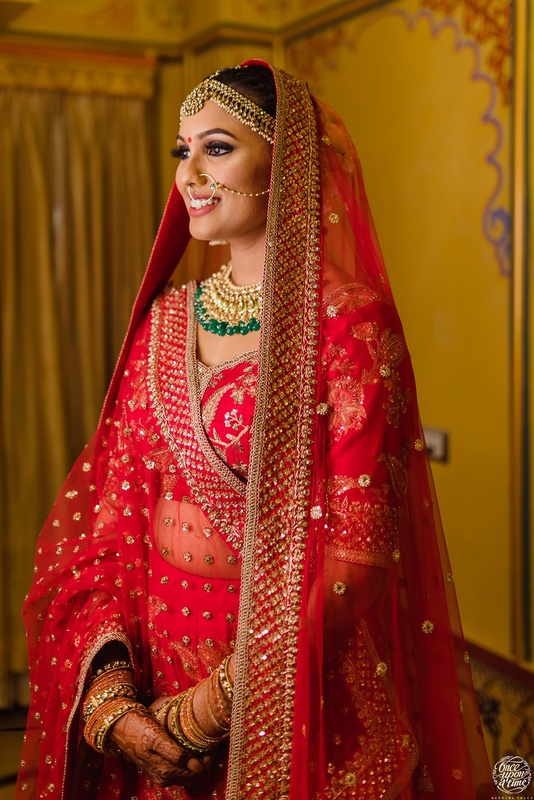 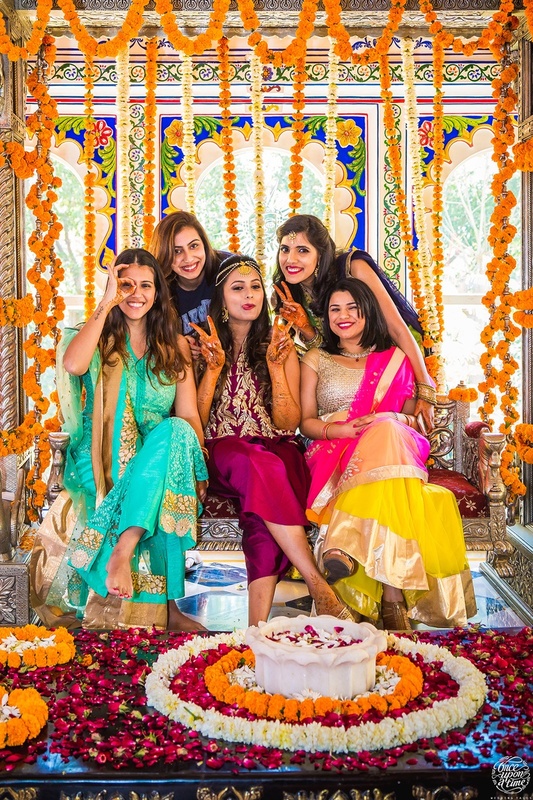 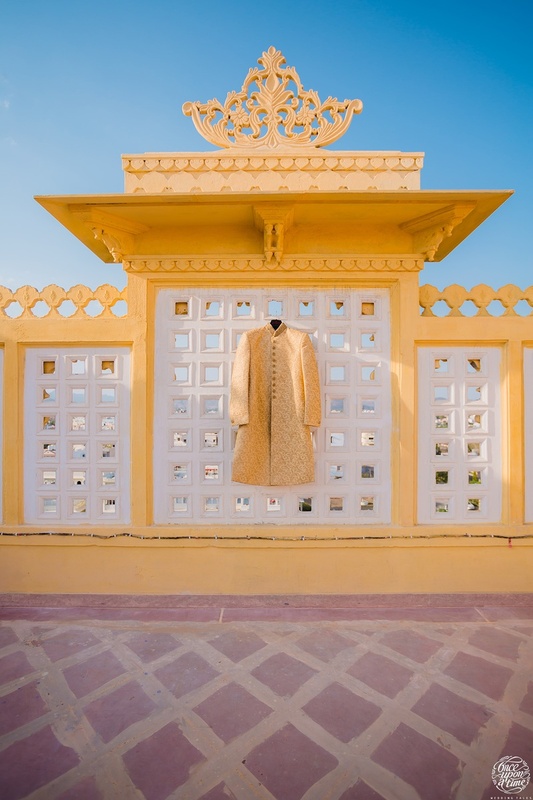 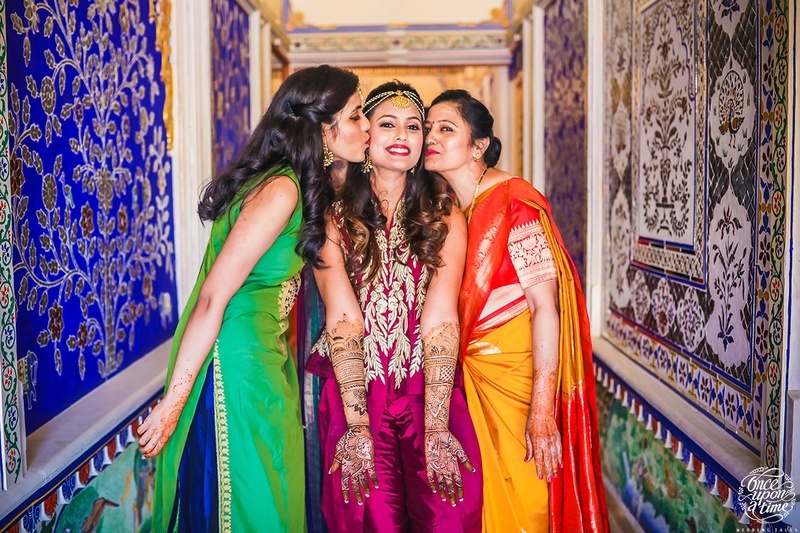 This Udaipur wedding held in Chunda Palace with a Sabyasachi bride is too gorgeous too handle! 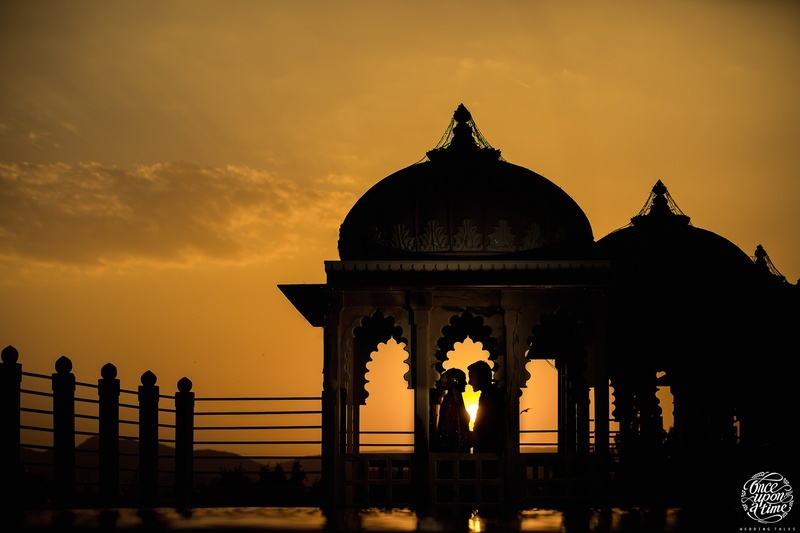 Swati and Devesh just got hitched at the grand Chunda Palace hotel, in a destination Udaipur wedding. 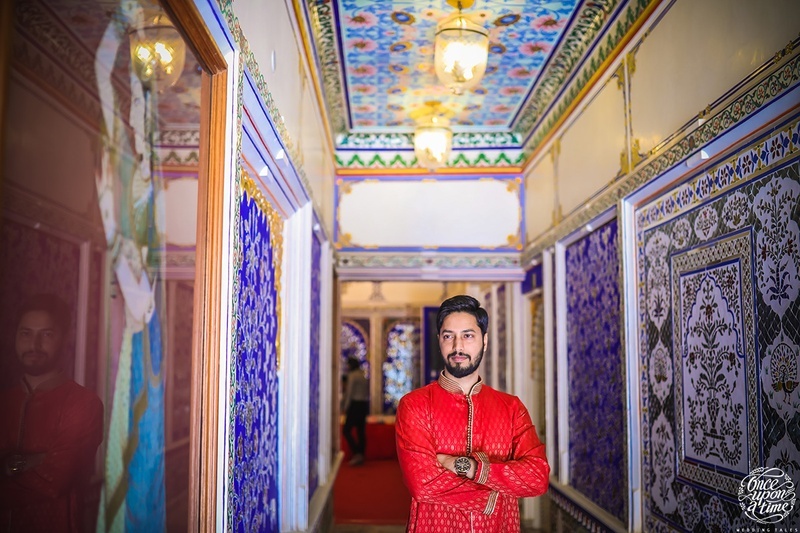 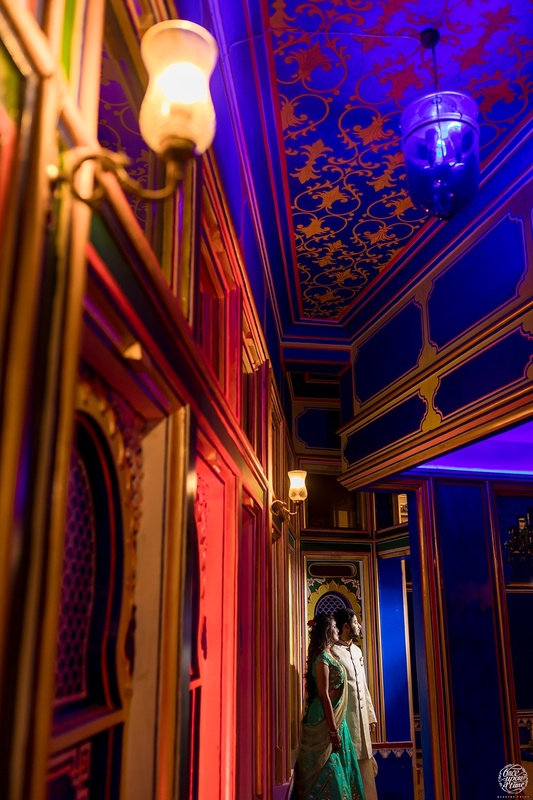 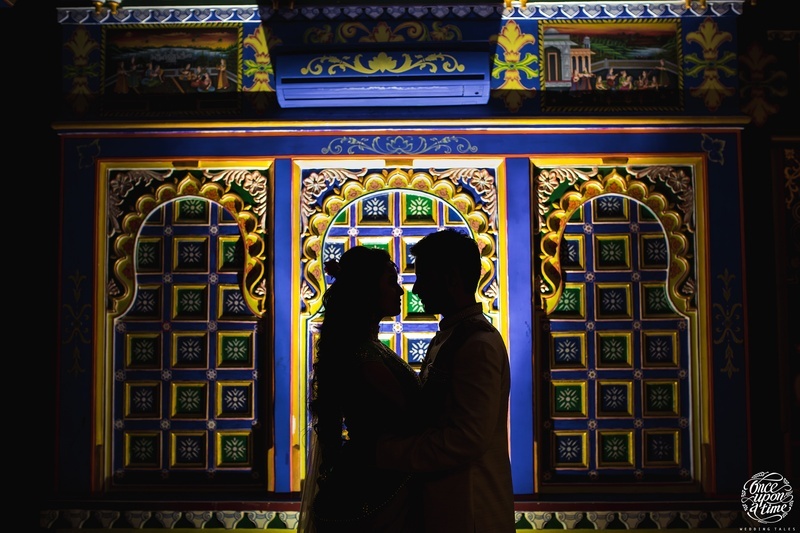 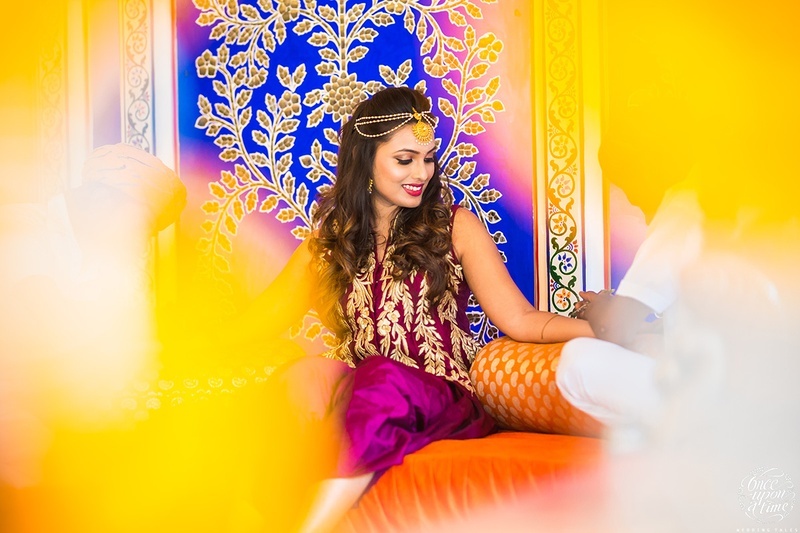 Choosing a classic palace with vibrant colors and beautiful mosaics, this couple's dashing wedding is stealing all the hearts! 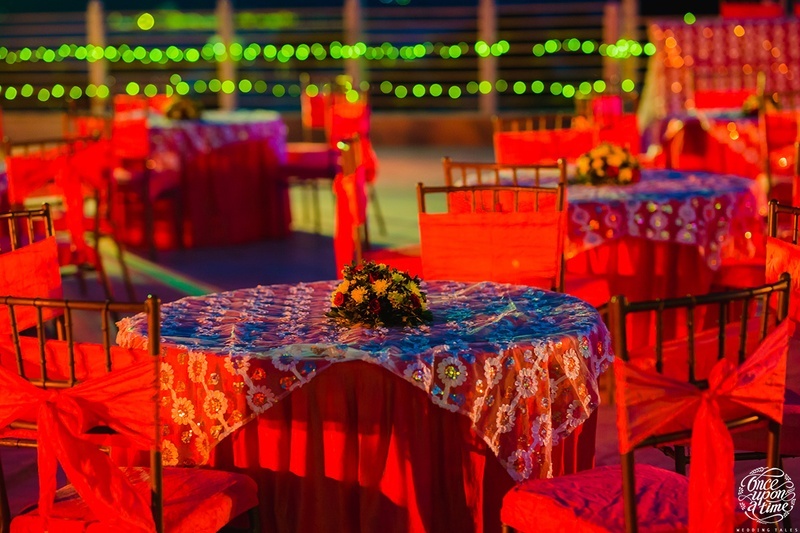 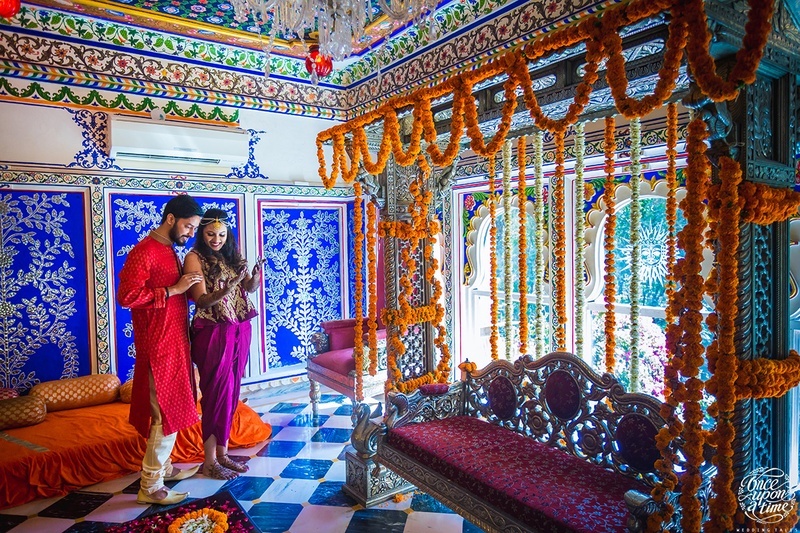 Chunda Palace, Udaipur has always been renowned for it's elegant yet colorful wedding spaces. 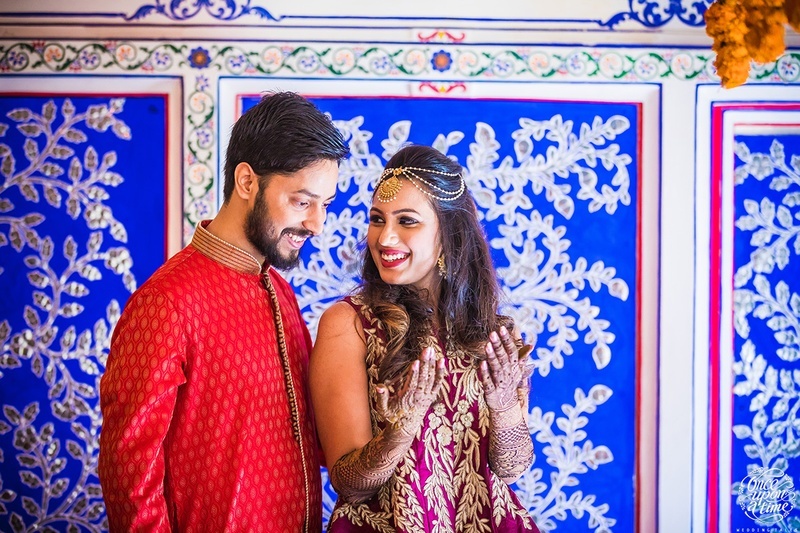 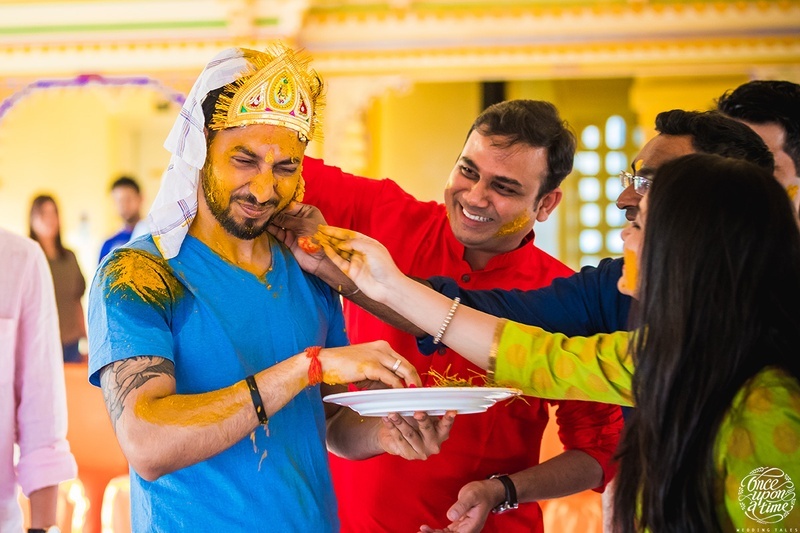 Swati and Devesh, from two different states, decided on Udaipur for their wedding when they were scouting venues for a friend. 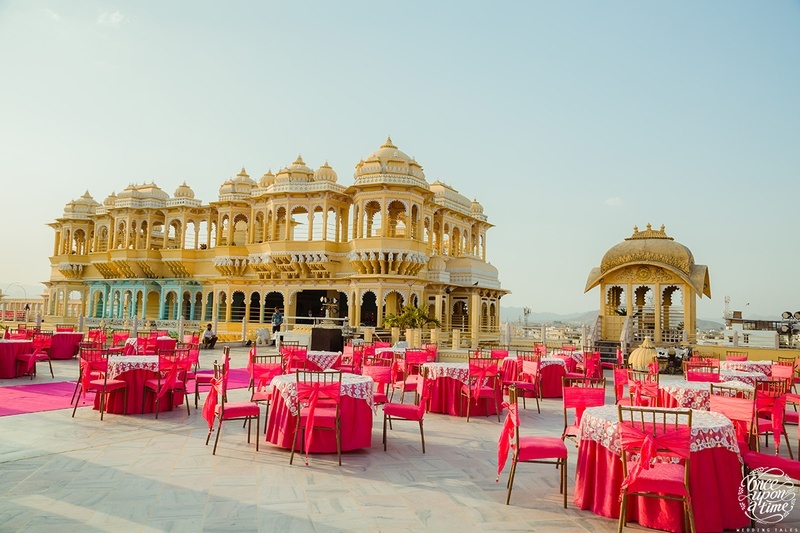 Swati immediately fell in llove with Chunda Palace and decided that when she gets married, it'll be there. 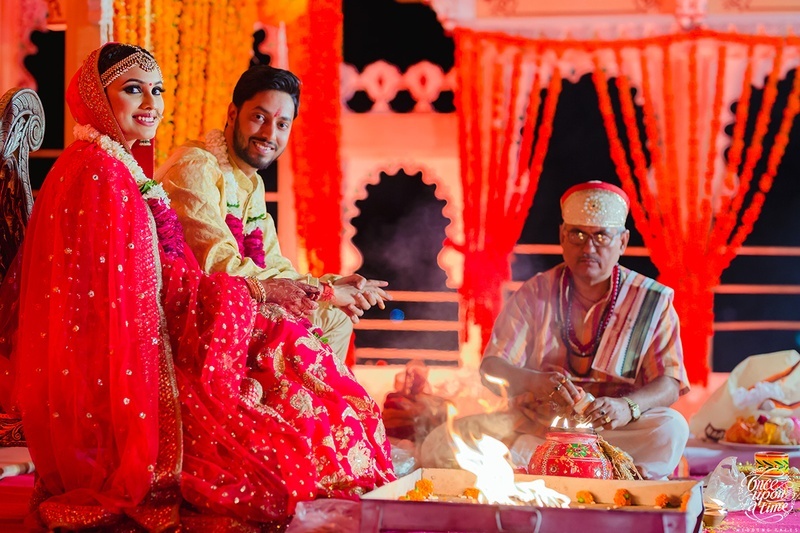 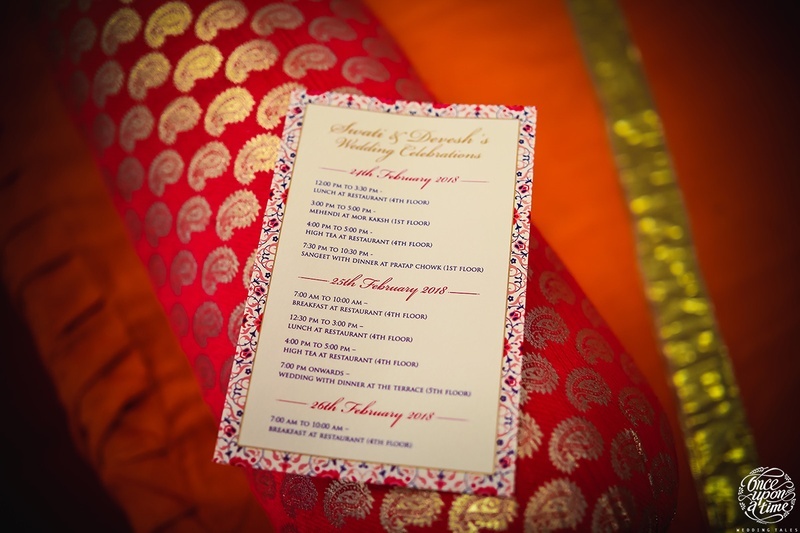 The couple met on a matrimonial website, falling for each other on their first date, arranged by Swati's father. 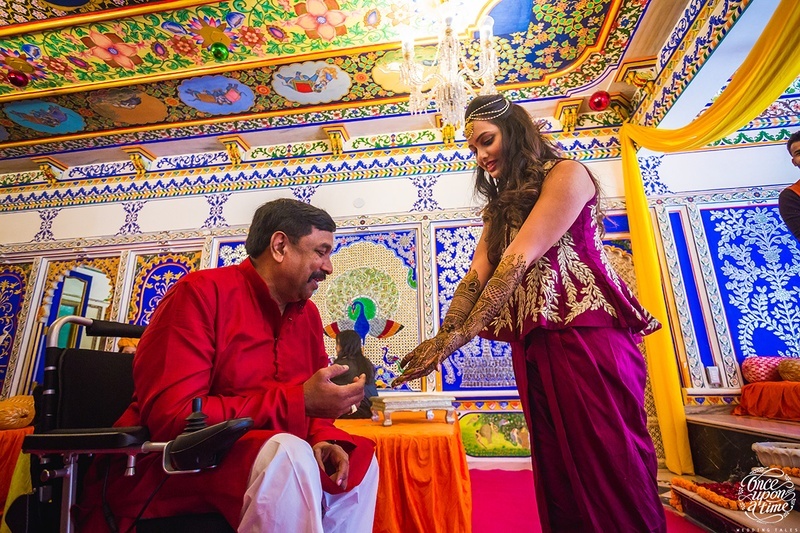 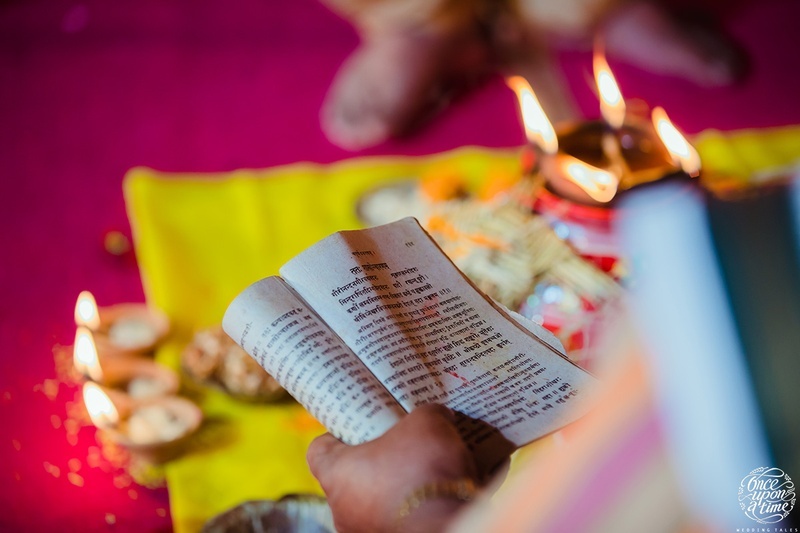 "My dad talked to Devesh for a while on the phone, before deciding that he was perfect, and then promptly set up our date. 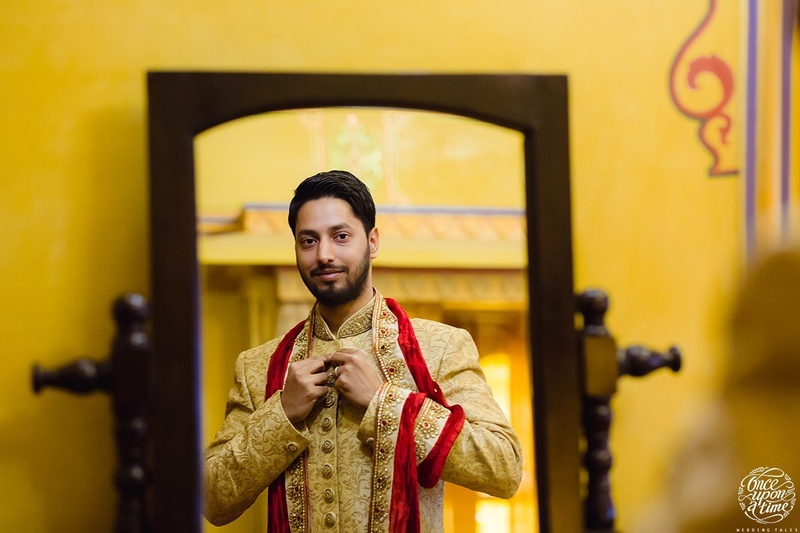 I don't consider it to be arranged though, because there was never any pressure on me. 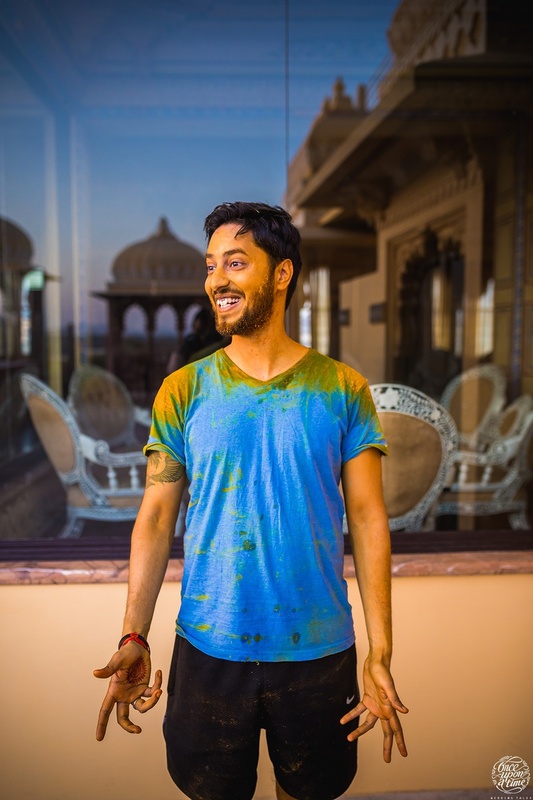 I just simply fell in love with Devesh"
"It’s pretty rare to find someone who has the same vision as you, and I got a sense of that from our first meeting. 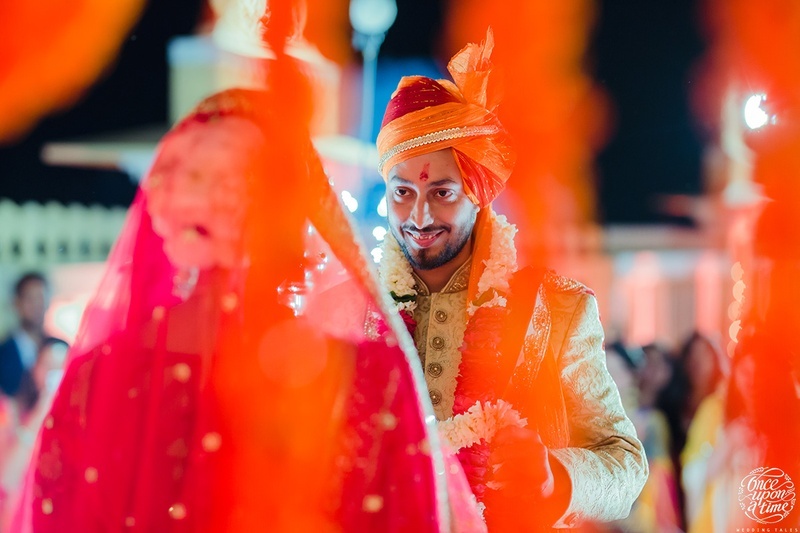 He and his team have done a phenomenal job in capturing our big day. 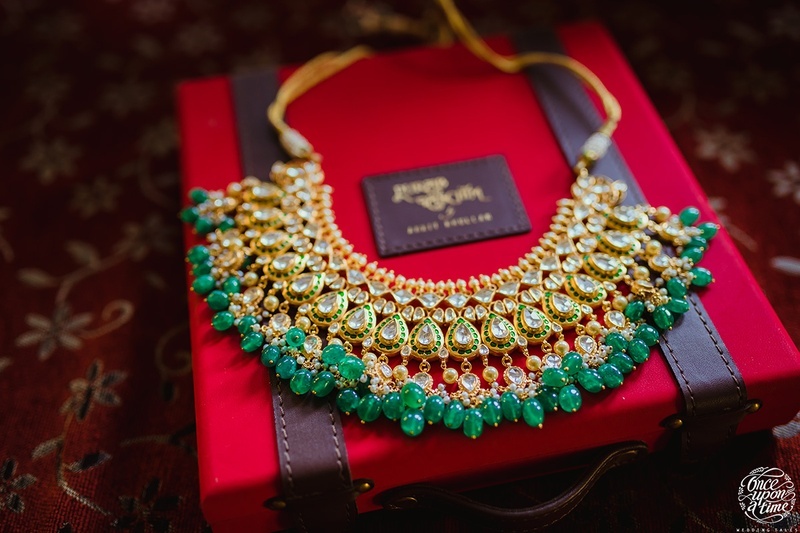 Everyone have nothing but good things to say about them - great to work with and they make you feel at ease. 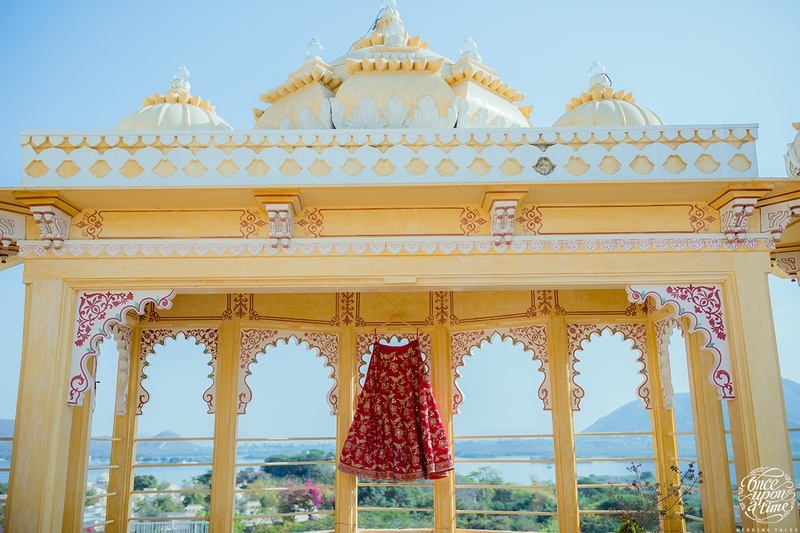 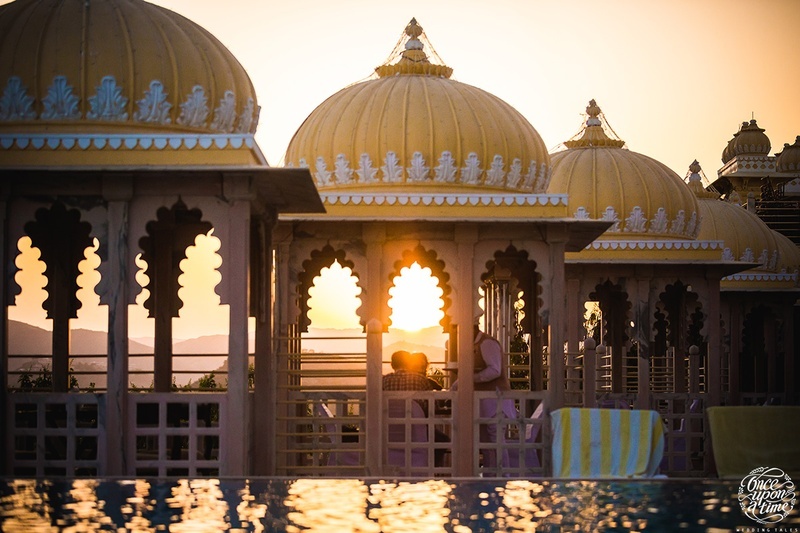 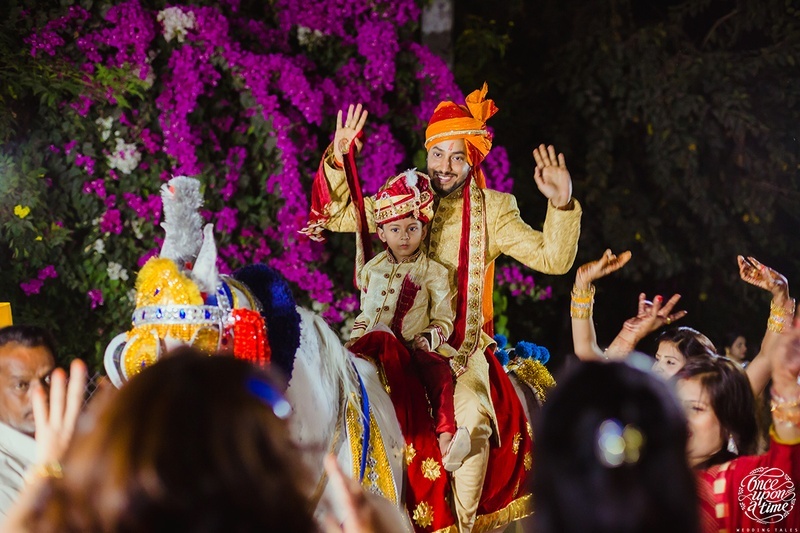 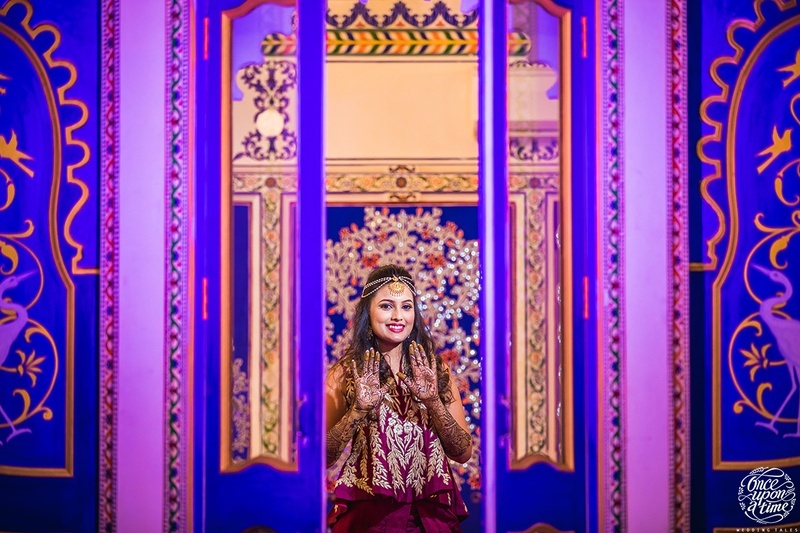 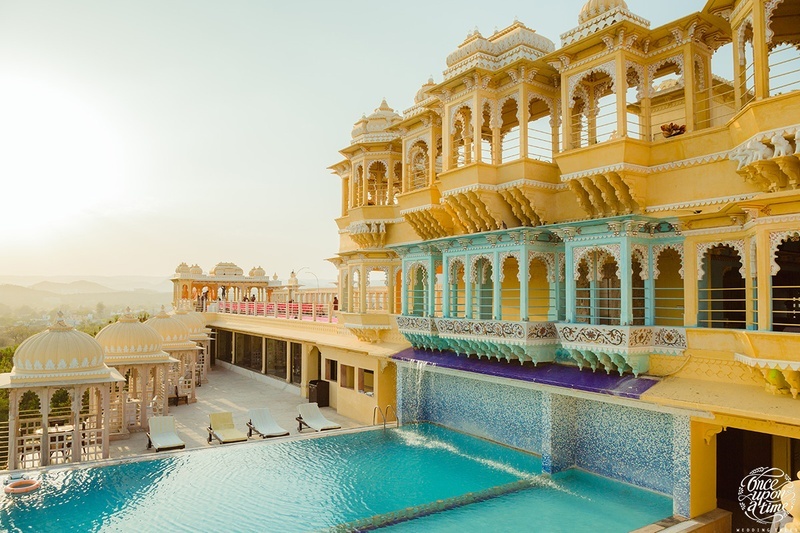 My vision has transcended to reality and I couldn’t have asked for more"
Well, check out these amazing pictures for yourself of the grand wedding at Chunda Palace, Udaipur!